PRAGUE -- 2020 Vision Executive Summit -- Light Reading's 2020 Vision Executive Summit is a unique event, with attendees drawn from an exclusive list of industry experts and visionaries. The structure and format of the event is also unique, specially designed to drive engagement and contributions from the audience, and help attendees learn from each other. The 2017 event in Prague earlier this month was the fourth time Light Reading has held the summit, and included experts from leading service providers and vendors around the world. The event included discussions on automation and virtualization, real developments and market-readiness of 5G technologies, the importance and challenges associated with network security, emerging "frontier technologies" that offer opportunities for service providers and a whole host of other issues that will shape the future of the telecom industry. As with previous years, the event was intense, engaging and very educational. The beautiful and historic capital city of the Czech Republic wasn't too bad to look at either. Here are a few pictures to show you what we got up to. 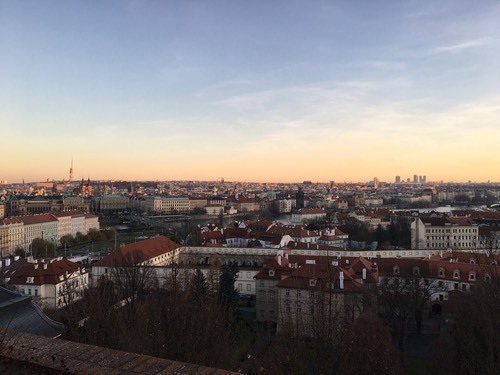 This year's 2020 Vision Executive Summit was held in the beautiful city of Prague, capital of the Czech Republic.